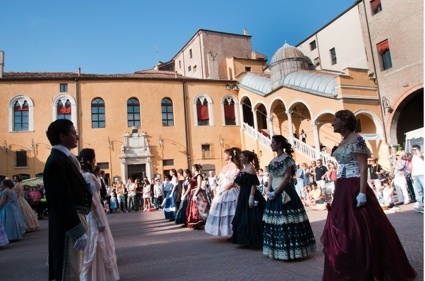 Società di Danza - Circolo Ferrarere, under the patronage of the Municipality of Ferrara and with the collaboration of Museo del Risorgimento e della Resistenza of Ferrara, organizes the Grand Ball to celebrate the history of United Italy in the Town City Hall Palace. 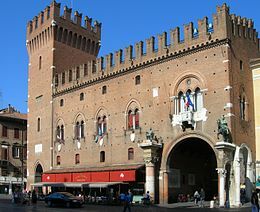 The city of Ferrara joined the Italy nation through a ‘Plebiscito’, by voting to become part of Italy in March 1860. The Grand Ball of Plebiscito si a tribute to this relevant historical event. Program includes waltzes, quadrilles, polpa, mazurka, contredanse, marches and galop. Dancers dress 19th Century ball dress of the romantic period.